Holman Jenkins who writes the Business World column for the Wall Street Journal often uses his column to write about aviation issues. I suspect he may be a frustrated pilot, but he usually gets it right which is rare in journalism today. In his latest column, he addresses the problems with the gradual replacement of humans by automation in systems previously controlled directly by humans. Specifically, the problem which is now showing up in aviation is that as reliance on automation increases and the scope of direct human involvement necessarily decreases, human competence will suffer. In simpler language, sitting and watching the machine fly the airplane all day makes a pilot rusty. 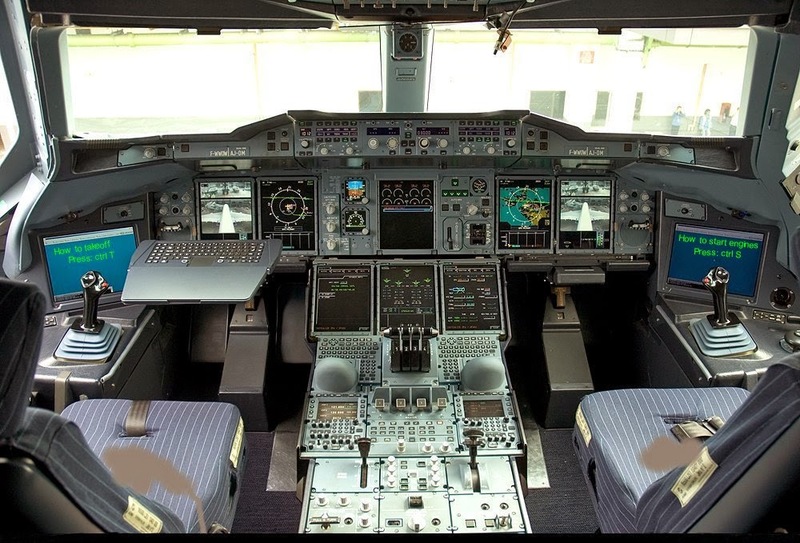 Critics now insist Boeing should have included an alert or automatic override in case pilots might fly the plane into the ground using the tools Boeing gave them. That's a cop-out. The chief pilot later claimed "it was very difficult to perform a visual approach with a heavy airplane," according to the NTSB, which would seem to indicate the real problem: The crew was nonplused, perhaps nearly panicked, at the prospect of having to maintain a proper glidepath without help from the airport's sophisticated landing aid. Diligent annotators of this column will recall Captain Malcolm Scott from nearly a decade ago, who criticized a British Airways decision to ban manual thrust control (which Asiana's pilots should have employed to maintain the plane's airspeed) by its Airbus pilots. Flying skills would atrophy, he warned, suggesting that the industry's implicit goal was to remove the human factor from the cockpit altogether. The question in the future design of aircraft automation is not where we'd like to go, completely automated aircraft control, but how do we get there? A straight line extrapolation of a diminishing role for real pilots doing real hands-on flying appears to be unwise. A rusty pilot thrown cold into a situation needing precise aircraft control such as when the automation unexpectedly fails is a recipe for disaster, let alone flying a routine visual approach as Asiana demonstrated. If airlines are going to employ human pilots in any fashion who may be expected at some point to actually fly the airplane, they are going to have to be kept in practice by actually flying. This will mean requirements for regular and routine manual control of the aircraft. This is not the case today. At such time that automation systems are robust enough to conclude that manual control of the aircraft will never be needed, pilots will be replaced by system operators who are not expected to have or maintain flying skills as none will be foreseeably needed. This point may be further in the future than many automation advocates envision. While this problem of atrophying flying skills is not new and has been addressed in various aviation fora, I personally thought the problem was mostly confined third world carriers lacking a reservoir of experienced aviators upon which to draw as does Europe and the US. I have recently been disabused of this notion by several alarming events at a large domestic airline. Several incidences of sub-optimal handling of airplanes on go-arounds were relayed to us during our latest training event. These events resulted in the aircraft being well out of accepted parameters for attitude, altitude, and airspeed resulting in a potentially hazardous outcome. While all the events resolved without incident, I had personally never heard of such gross mishandling of an aircraft by one of my fellow US aviators. Go-arounds, while requiring proper attention, are not difficult to accomplish. Why now would problems be showing up in go-arounds? The answer may lie in this carrier's automation policies and equipment. Boeing makes an autopilot capable of fully flying an approach and should the need arise, to fly a perfect go-around while never being disengaged or requiring manual control of the aircraft. For whatever reason, this particular airline chose to configure their system to have the autopilot dump full manual control into the pilot's hands right at the time the decision to go around is made. Choosing to go-around disconnects the autopilot just when the aircraft is at its lowest point in the approach at its slowest speed. Assuming the arrival and approach were flown using automation as is normal policy, being given a handful of airplane just when the pilot was expecting to land seems to me to be the wrong time for this to happen. What actually happened on these incidents is known only to the safety investigators (and the pilots) but it does seem interesting that highly qualified aviators are making rookie mistakes like this just as automation becomes more pervasive.